The Sun Military Awards, where the Armed Forces' very best are saluted in a star-studded ceremony. A Night of Heroes: The Sun Military Awards, also known as The Millies, celebrates the bravery of the Armed Forces and awards military heroes who have made enormous sacrifices and have served their country with the highest distinction in the past year. The award ceremony takes place at London’s Imperial War Museum in December and is broadcast by ITV. On 4th November 2010, the Governor of Helmand Province in Afghanistan, Gulabuddin Mangal, made a visit to the National Memorial Arboretum in Staffordshire. 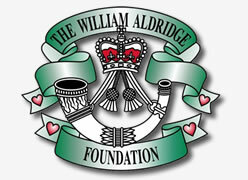 During the visit he met Lucy Aldridge, mother of Rifleman William Aldridge. William of 2 Rifles, is the youngest member of UK Armed Forces to be killed in Afghanistan. 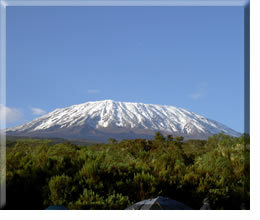 The Kilimanjaro 2010 Appeal was launched by Rifleman Aldridge's mother Lucy, in October 2009 to honour the memory of her young son. Inspired by the love of his beautiful girlfriend Zeta Price, who wanted to achieve something special in his memory - combining the challenge of climbing a mountain, raising funds through corporate sponsorship, donations and a variety of fundraising events became a most fitting tribute in honour of Williams' bravery and sacrifice. Enabling us to "Continue helping injured soldiers". We set ourselves a respectable minimum target of £40,000, which, when achieved and hopefully exceeded, will be divided between the RCDM MoD Patient Welfare Fund at Selly Oak & The Riflemans Fund (supporting injured Riflemen & bereaved families). The climb took place on October 22nd 2010. Zeta was joined by Rifleman Michael L. Perry, one of Williams comrades from 9 Platoon, C Company, 2nd Battalion The Rifles in this ambitious journey to the summit.